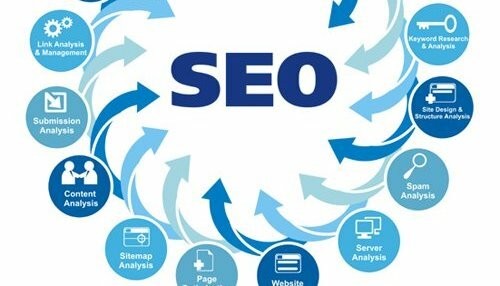 SEO is often neglected, yet yields a huge growth ratio in business and it has minimum risk. Although it takes time to build, it is definitely worth the stress. Unlike paid adverts where visitors or traffic rush to one’s website during the ads campaign and cease when the campaign finishes, SEO traffic never stops. Advertising one’s online business through backline developing, keywords and key phrase utilization, and constant publishing of enhanced content, all of which are some of the methods of SEO, is a fantastic way not just to get leads but to have them turned into purchasing clients, who will probably keep coming. SEO drives targeted customers directly to your online business. Posting of articles related to your products would get traffic from prospects that may naturally like what you do. At first, this may not translate into direct sales but it will surely give one a lead. Once you get your prospective customers thirsty about your products through enhanced quality articles, some will want to check out what your product is all about and possibly click the buy button. Enhance quality post is as a result of intensive keywords research. When it comes to optimizing the most important pages of your website, one should consider relevancy, search volume, and ranking difficulty. If keywords that are highly relevant to one’s brand, or have a high exact match search volume locally (not globally) in “Google’s Free Adwords keyword” tool are used, it will boost one’s ranking. Also checking keywords for a low difficulty score from “Moz’s Keyword” tool can help too. It is a very good tool for exposure to a larger traffic. This campaign assures getting on the first page of search engine. Getting on the first page of Google search engine results is every business owner’s desire. But how valuable can it be? A new study according to Optify shows the distribution of clicks on the first page of the search engine. The number one result gets 36.4%, while the last on the first page gets 2.2% of all clicks. Also 89% of the clicks go to the top three results. This distribution has shown the significance of ranking on the first page of search engine. Being at the first page is not enough, but striving to make the top three is the main thing. If top three rankings could be secured, then it assures regular traffic to online marketers, much more cost-effective than paid ads. It is more of a reputation thing and brand awareness to engage in the search engine optimization. It assures exposure and awareness to the online community. Optimum utilization of the available social media tools like Twitter, Facebook,LinkedIn,Pinterest, Google+, it is a long list, can help one maintain an existing customer, instead of going all out to new customers. Regular updates, posts and awareness articles can guarantee this, and then if consistent, new customers can add up through words of mouth. The importance of SEO in e-commerce cannot be overemphasized as it assures regular and constant clicks or visits to a firm’s online stores. If only half the money spent on paid adverts can be channeled to search engine optimization campaign, it will prove worthwhile. Meanwhile let's just say that we are proud admin contributed with 0 entries.